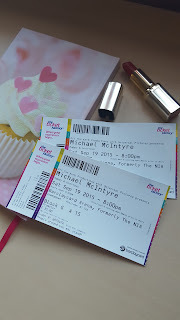 If you know me, then you will know that I am a very big fan of Michael McIntyre! 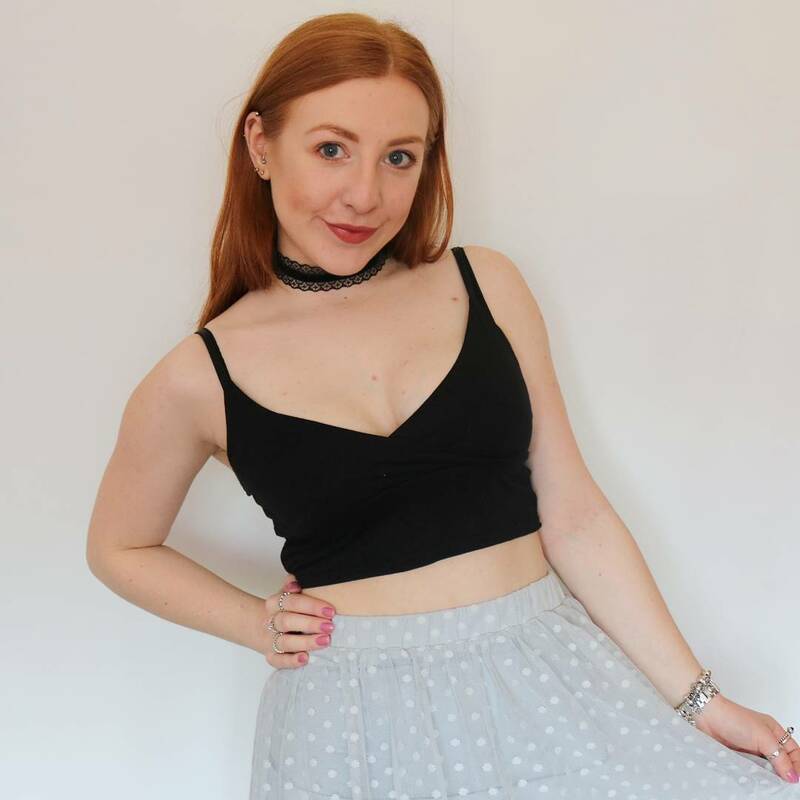 I bought my tickets for the Happy and Glorious 2015 tour back at the beginning of June 2014 (fan pre-sale), which also shows how much of a fan I am. So, on Saturday evening, the night was finally here for me and my mom to go and see Michael McIntyre in Birmingham, and I was so so excited. I think we had pretty good seats, and a good view of the stage, although Michael looked really tiny in the distance so I mostly watched him on the large screens above the stage. Both me and my mom laughed all the way through the show and our cheeks hurts afterwards. 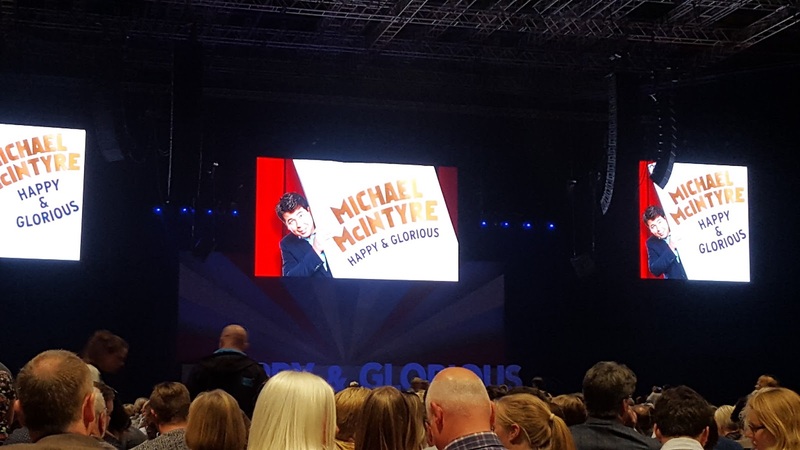 The highlight of the show for me definitely had to be when Michael pulled up his trousers to show us his large calves as part of his act, but he couldn't get his trousers down back over his calves again and he was laughing at himself which only made you laugh even more! 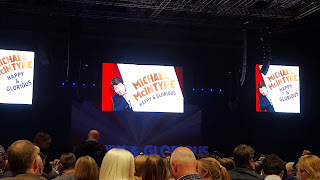 We also saw Michael McIntyre on his last tour (Live and laughing) in 2012, so I was super happy that we got to see him again. Of course, I will be looking forward to his next tour! 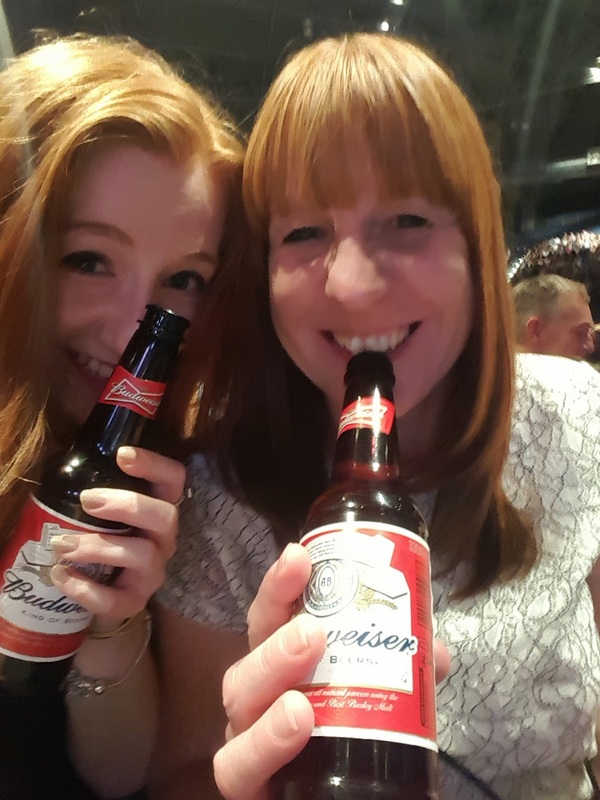 So for now, I'll leave you of selfie of me and my mom whilst we were laughing at ourselves trying to take a 'beer selfie'. Are you a fan of Michael McIntyre too or have you seen his shows?